: บริษัท ศิริไกรอุตสาหการ จำกัด | Sirikrai Industrial Co., Ltd.
FROG & RAM are engineered and manufactured to solve tool machines problems regarding coolants, oils and lubricats filtration. All the main international rules are more and more related with safety in working places and that’s why Depureco has decided to create a full range, composed by 5 different models that can be customized to follow up the different customer needs. The “CUSTOM MADE” manufacturing philosophy of DEPURECO has developed a full range of threephase industrial vacuums especially engineered to solve specific problems in pharmaceutical, chemical, food, packaging and laser industries. SWAN is a modular range with a full line of special accessories able to customized the vacuums to the real customer’s needs. The SWAN series, as a machinery’s built-in units, is the reliable solution for de-dusting, vacuuming and filtering up to 99,999% of manufacturing swarf that could be dangerous for the final quality of customer production. The recovery of pharmaceutical and chemical dust, textile and paper swarf, packaging nylon swarf are only few of the many and specific applications of SWAN serie. The threephase PUMA serie, equipped with big powerfull side channel turb?nes, is suitable for heavy duty applications as foundry, ceramic, nautical and mechanical industries. Large filter surfaces, automatic filter control devices, automatic debris dumping systems and remote controls for central vacuum systems are some of the main features of PUMA serie. FOX, a rugged vacuum and important working tool to optimize the production quality, engineered and manufactured for a continuous use, FOX is perfect for all the quality and safety oriented companies. Single phase, Three phase and Battery operated design is the common denominator for all Bulls, as the big filter surface (24.000 sq/cm), the cyclone, suction intake tangential and the simple bin dumping system. User friendly and ruggenes. BULL is always the right tool. The IPERJET DF filter equipped with horizontal cartridges is suitable for suction and filtration of welding fumes, fine and coarse dusts as well as of small quantities of chips, dusts/fumes from thermic cutting. Is a Filter to be used inside work premises. 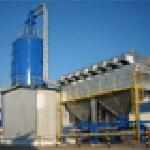 For extraction & filtering of welding fumes, gases, vapours, aerosol, solvents, dusts, etc. Filter cleaning has always been problem for the traditional filtering pockets used for welding & dusts! CORAL has now got a simple and reliable answer to this problem. 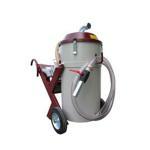 JETCLEAN, the portable unit with longlasting washable cartridges and a manual compressed air cleaning system. Operating and application principles The fumes are extracted by the patented \"UNIVERSAL NO-SMOKE\" (standard) arm or “EVOLUTION NOSMOKE” (optional), they go through a metal labyrinth filter, situated in the side pre-chamber that operates as a spark extinguisher, then are blown upwards to the cartridge filtering section and exit from the ventilator which is fixed on top of the unit. JETCLEAN\'s main application is to deal welding fumes and dry dusts in small quantities. For extraction & filtering of welding fumes, gases, vapours, aerosol, solvents, etc. The CLEANING NO-SMOKE filter unit is made of a painted metal sheet panelled structure with an upper plate where a suction pipe or the arms UNIVERSAL NO-SMOKE (supplied as standard) or the EVOLUTION NO-SMOKE (supplied as optional) can be fitted. The polluted air is driven trough the suction inlet by effect of the vacuum created inside the casing by the centrifugal fan. Applications: the PROBIS self-supporting articulated arm, made by CORAL represents the best technical solution and has the necessary versatility for extracting fumes emitted by soft soldering, laboratory vapours, electronics in general, smallscale craft work goldsmithery, dental laboratories, research laboratories, analytical laboratories, etc. Sawblade Resharpenable type Cold saw blade specifically designed can be re-sharpend. © 2000-2008 CopyRight by Sirikrai Industrial Co., Ltd.